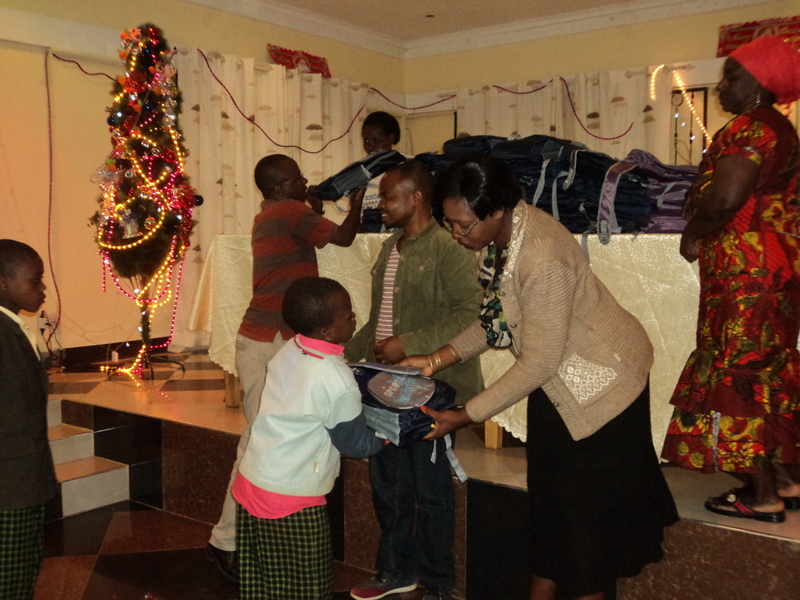 Guest of the hotel owner, Lilian Nyemele, distributing KWA gifts to OVCs. 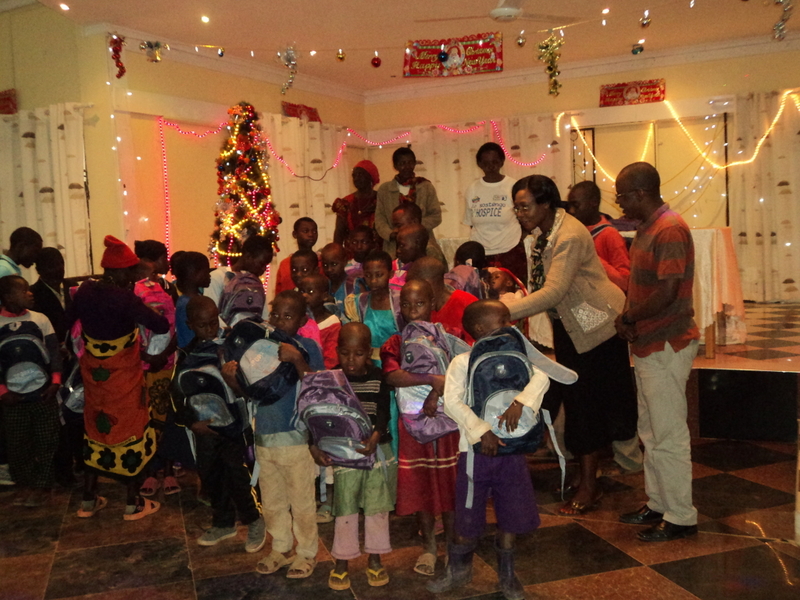 Every year the Kibena Women's Association (KWA) - a member group of the Highlands Hope Umbrella - sponsors a gathering of the orphans and vulnerable children from the Njombe region several of whom the organization supports throughout the year with school fees and other living costs. This year the event was held at an Njombe area hotel. Though primary education is free according to the government, school fees, supplies and uniforms can cost almost T/sh 100,000 per year while secondary students' fees and supplies can run to T/sh 450,000. KWA raises its funds locally, including support this year from the hotel owner where the event was held, and also receives regular contributions from the students of St. George's School in Westmount, QC, Canada. It was a good day when KWA and Orphans enjoyed together the Boxing day, 26/12/13 planned by the Kibena Women's Association (KWA) as a day to be together with OVCs. the guest of owner of the day was the Ward Executive officer of the Njombe Town Council Lilian Nyemele who was accompanied by the Town council Social and Welfare Officer, Other guests were from TANWAT (edmund Munubi), Njombe Radio and KYOFE (George Sanga).